Please find below classifieds in category Cars for sale, used cars for sale category in Raritan. Please use the form above to refine your search in Cars for sale, used cars for sale in Raritan. If you can not find what you need in Raritan please add your wanted ad to let sellers contact you. If you want to keep your contact info confidential enter only your email address so you will receive offers into your account in our system. You can click Post a classified ad link below or the button Post classified for FREE in top right corner of this page to post your classified ad in category Cars for sale, used cars for sale in Raritan. It is fast, easy and free to post an ad in FREEADSinUS.com. It will take you just few minutes to have the ad available on our listings. You can edit your ads any time by clicking “Edit my ads" button on top right corner of this page. IF YOU ARE INTERESTED EMAIL ME AT: wynellwpposner@ukboss.com . Oh Yeah!!!! Born elegant and made famous by the hit movie "Ferris Bueller's Day Off", this 1961 Modena Ferrari 250 GT California Spyder is absolutely stunning! This beautiful Modena Design Ferrari is 1 of only 32 re-released 1961 Ferrari 250 GT California Spyders made and are highly sought after by Ferrari collectors and auto enthusiasts around the world. I am always available by mail at: takakotddinco@westhamfans.com . For sale is a Tesla Model S 60 kW, it was used for a business car and was rented some on Turo. This car has 85, 000 miles on it and drives like the day it was new; I am pricing it for a quick sale. There are a few spots of minor damage: Frunk lid has a small dent and a few rock chips, normal wear and tear for an 85, 000 mile car in Denver. Just email me at: numbersnhhaskins@tennisfans.net . This may be a once in a lifetime opportunity. Most people have never seen, riden in or owned a Saleen Explorer, this is your chance to knock out all 3 in one shot. As if that is not good enough, you have a chance to see, ride in and own the very first one ever built! This in the original prototype and first production XP8 Performance Utility Vehicle. More infos regarding my car at: taylortmmasincup@1me.net . HIGH OPTIONED , Impeccable and exceptional Color combination.Midnight Blue with Sand Beige tan leather and Beautiful Blue top. 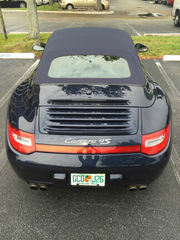 2012 Porsche 997 C4S All wheel drive cabriolet. LOW MILEAGE 7, 984. Garage kept, Mature business man owner. Options are, Desirable SPORT PLUS package. For sale is a 2007 SL55 AMG - 5.5L Supercharched V8 engine. 507 HP 531 lb-ft Torque. 87k miles.Rare color combo!Although having been out since 2003, the 2007 models were face lifted and updated Car is fully loaded - heated, cooled seats. panoramic roof, engine start/stop. Messaging seats.Car is clean and no accidents. Send me an email at: carolina.hronek@zoho.com . 2008 Hummer H3 ALPHA Edition. Alpha gives you the 5.3L V8 that makes this truck into a monster. It's loaded with every possible option. Leather. Navigation. Large Sunroof. ALPHA badges / Embroidered seats. The works. Since I bought it I have upgraded many parts of the vehicle to make it just perfect: -All chrome has been professionally wrapped by One Soul Graphics in Livonia Michigan giving this vehicle the "blacked out" look. Feel free to ask me any questions about the car : letishalffambrough@bandits.org . 2014 DODGE CHARGER SRT8 SUPER BEE 392. THIS CAR IS NEW!!!! THIS CAR SPEAKS FOR ITSELF!!. IF YOU ARE INTERESTED EMAIL ME AT: alvinaaccline@irishhome.net . Beautiful and rare, last and only year of a 5speed 930. Same California owner since 1991. Numbers matching 1989 Porsche 930 factory 505 steel slant nose 911 turbo coupe wearing the original color grand prix white and original grey leather interior both that are in really good condition considering it's age. E-Mail Questions at: ellioteccorkill@artsociety.net . 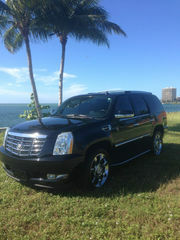 2011 CADDILAC ESCALADE PREMIUM EDITION. THIS CADDI IS EQUIPPED WITH EVERY OPTION EXCEPT FOR REAR ENTERTAINMENT SYSTEM. RUNS AND DRIVES GREAT! NO ISSUES! - SUNROOF - NAVIGATION - REAR BACK-UP CAMERA - 2ND ROW CAPTAIN CHAIRS - 3RD ROW. Please message me with questions at: gallaty69@zoho.com . 1971 Camaro with too much to list....I will name some of what comes to mind. Has a 469 big block and 671 BDS blower. Makes 10lb boost with current pulleys at 6% overdrive (should be 700hp or so) on 93 pump gas also have a 6% underdrive pulley. 1963 FORD GALIXIE 500 CONVERTABLE8 CYL. 289GARAGE KEPTI AM THE 2ND OWNER...I PURCHASED THIS FROM THE PERSON THAT BOUGHT IT NEWI DON'T SEE ANY SIGN OF RUST I PUT IN A NEW RADIATOR AND GOT IT RUNNINGI OWNED IT FOR 7 YEARSIT'S NOT BIN DRIVEN SINCE 1983PRETTY MUCH ALL ORIGINAL...2 SNOW TIRES INCLUDEDI PUT THE MAG WHEELS ON IT. 1979 MB 450 SL beautiful blue car with Blue interior . Both tops and top carrier with cover , new battery installed , 4 new Michelin Tires installed , installed steering dampener, tighten the idler arm, replaced vacuum hoses., retro fit a/c and evacuated and charged with new freon, replaced number 2 and 3 injectors, replaced stabilizer bar links, replace front and rear brakes also lubed calipers, set toe alignment, replace expansion valve and liquid line, replaced all fuses plus more . This 2012 F250 is in SUPERB Condition! Never on a jobsite or off road, just used as a daily driver and still driving. Truck is the cleanest used Super Duty out there!All scheduled maintenance. All records. Excellent condition. New tires. No accidents. Non-smoker. Satellite radio. Seats like new.. This is a showroom condition 2011 Chevrolet Corvette Grand Sport coupe with 3480 miles. It is black with black interior. It has a 6 speed automatic transmission with paddle shifters. This car is very nicely equipped with the 3LT Premium option package with navigation, heads up display, dual mode exhaust, Bose Premium sound system, a removable transparent roof, aluminum chrome wheels, heated seats, dual climate control, and more. PROJECT CAR WITH CLEAN TITLE. FARM FOUND.Very good conditions. contact me for more detailsVery good conditions. contact me for more detailsVery good conditions. contact me for more detailsVery good conditions. contact me for more detailsVery good conditions. contact me for more detailsVery good conditions. I'm selling my 2011 BMW X5 xDrive 3.5i. It is in excellent condition, and has been dealer serviced since day 1. Sparkling Bronze Metallic ExteriorSand Beige Nevada Leather InteriorDark Bamboo Wood TrimPanoramic SunroofSirius/XM Satellite RadioHeated SeatsRunning BoardsConvenience Package:4-zone Automatic. Up for sale 2005 Chevrolet Impala LS . Car is in excellent condition, Very good conditions. contact me for more detailsVery good conditions. contact me for more detailsVery good conditions. contact me for more detailsVery good conditions. contact me for more detailsVery good conditions. contact me for more detailsVery good conditions. VERY CLEAN 04 HONDA .. NO MOTOR OR TRANS PROBLEMS......Very good conditions. contact me for more detailsVery good conditions. contact me for more detailsVery good conditions. contact me for more detailsVery good conditions. contact me for more detailsVery good conditions. contact me for more detailsVery good conditions. CLEAN AUTOCHECK!! Very good conditions. contact me for more detailsVery good conditions. contact me for more detailsVery good conditions. contact me for more detailsVery good conditions. contact me for more detailsVery good conditions. contact me for more detailsVery good conditions. contact me for more detailsVery good conditions. Drivetrain Timing belt/water pump, plus, wires, cap/rotor replaced around 130k miles Head was rebuilt to OE spec at 135k Miles..
1998 C2S Original unrestored factory Aero Kit ll with 40, 650 original miles. Factory red gauges. C of A. Light use for the past ten years. No snow or salt. All systems function properly and kept up to date using only Porsche replacement parts including but not limited to new belts, new rotors, new plugs, both oil filters, fuel filter, new fog lights, injectors reconditioned, new shocks, Bridgestones approx 3, 000 miles etc. Mint condition, 27000, accident-free, only 27155 miles.Very good conditions. contact me for more detailsVery good conditions. contact me for more detailsVery good conditions. contact me for more detailsVery good conditions. contact me for more detailsVery good conditions. contact me for more detailsVery good conditions. 2010 Dodge 6.7L 408Cu. In. 2010 Dodge Ram 3500 Mega Cab Loaded with over 25K Invested!!!!!!!! Fully loaded Heated seats Heated Steering wheel Remote Start Navigation TV with DVD player Upgrades... 6" Tuff country lift Kit Fab Four Front Bumper Chrome Front Grill Rear diff cover 20x12 Chrome Octane Fuel Rims Mounted up with Mickey Thompson extra wide 36 x 15. Up for auction is a 2005 Lincoln signature town car. Car is in great condition, with only 17, 000 miles!!! 1 owner!! Car was owned by my father 70 yrs old. The color is a light blueish greenish paint with a tan cloth roof. It rides smooth, runs and shifts 100%. Interior is clean with no rips in leather seats and carpets are clean. DESCRIPTION: For Sale is my beautiful 2007 Aston Martin DB9 with factory Aston Martin CPO Warranty. When I purchased this DB9, I paid for the inspection as well as a 2 year warranty. The CPO inspection is a rigorous 4 hour process! The CPO Warranty expires 5/2015 and can be extended for an additional 2 years! This means you can actually enjoy driving the car instead of worrying about potential costly breakdowns. excellent condition. 74k original miles. 5sp. soft top (3 tops surrey, brand new fast back, and full soft) truck has a/c, new tires less then 1k miles ago. custom s/s bush bar with 10lbs warn winch. dual batteries. custom s/s center console. I am 2nd owner and have had for the last 12 plus yrs. always garage kept until last year. My 2008 Lexus RX350 AWD with only 53K Miles. Car is in excellent condition purchased 4 years ago from the Lexus Certified pre-owned program. Car is loaded with the Luxury Value Edition which includes: - Leather Trim Interior; Power Tilt/Telescoping Steering Wheel with Memory, Roof Rack with Rails, One Touch Open/Close Moonroof, High-Intensity Discharge Headlamp (HID) with Adaptive Front Lighting System (AFS) and Illuminated Entry System. 2008 BMW 650I Convertible, triple black, 89K miles Car is absolutely loaded, sport package, Navigation, premium sound, full power, heated seats, heads up display etc. Mechanically perfect and everything works as it should. All service up to date. No warning lights, car is leak free. Paint, body, convertible top and interior in excellent condition. This is classifieds listing page in category Cars for sale, used cars for sale in Raritan. The listings include ads for sale and wanted ads posted in Raritan location on our site or sourced from Oodle.com from categories related to Cars for sale, used cars for sale. If you posted an ad on this page before please click "Edit my ads" button to sign in your account and edit your classified ads, check the requests sent to you from your ads contact forms or check the offers sent to your wanted offers. Cars for sale, used cars for sale Raritan classifieds, Raritan ads, Raritan classified ads, garage sale Raritan. Find here ads for sale, to buy and rent in Raritan. Goods for sale in Raritan, vehicles for sale in Raritan, Raritan real estate for sale, Raritan property for sale, property for rent in Raritan, business ads in Raritan, Raritan business classifieds, services in Raritan, Raritan services ads, jobs in Raritan, pets for sale in Raritan, Raritan dating, Raritan cars for sale.